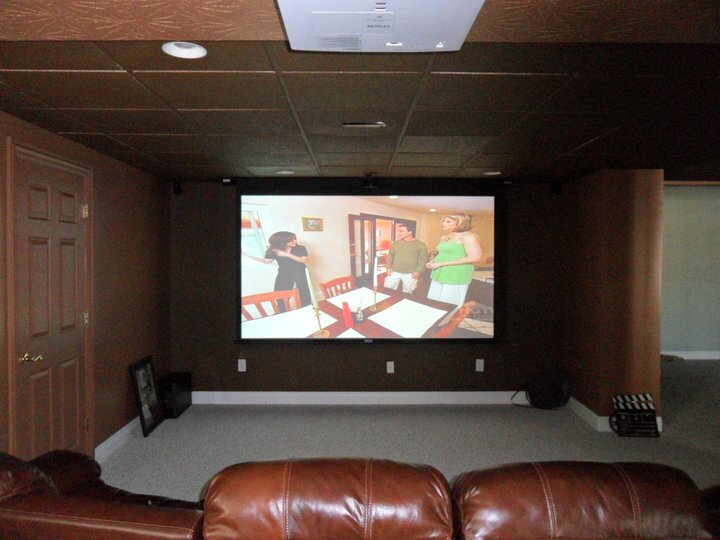 This home theater install showcases the best of both worlds: a flat panel LED and an automated drop-down projection screen that stays discreetly stowed away when not in use. 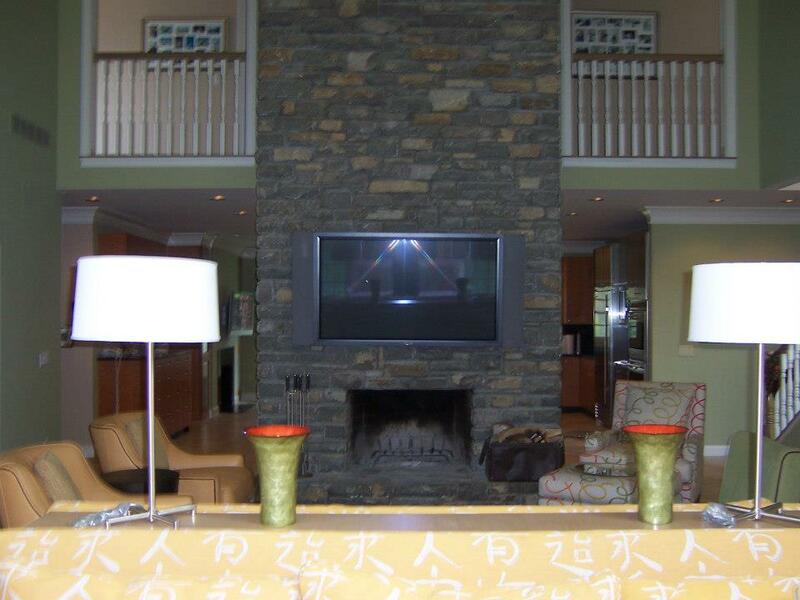 Because of the creative use of space, the client is able to enjoy both options while utilizing room and wall space most effectively. 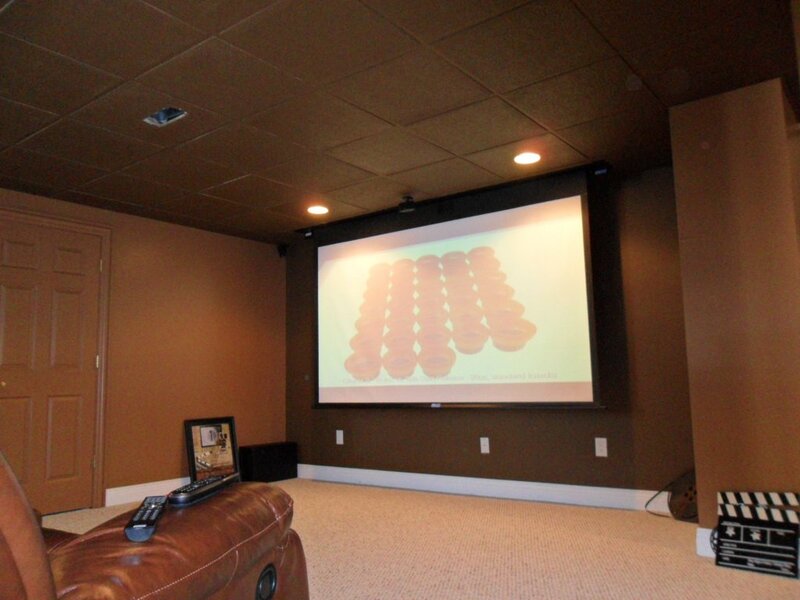 Dual screens make this Media Room a winner in both normal and low-lighting situations. 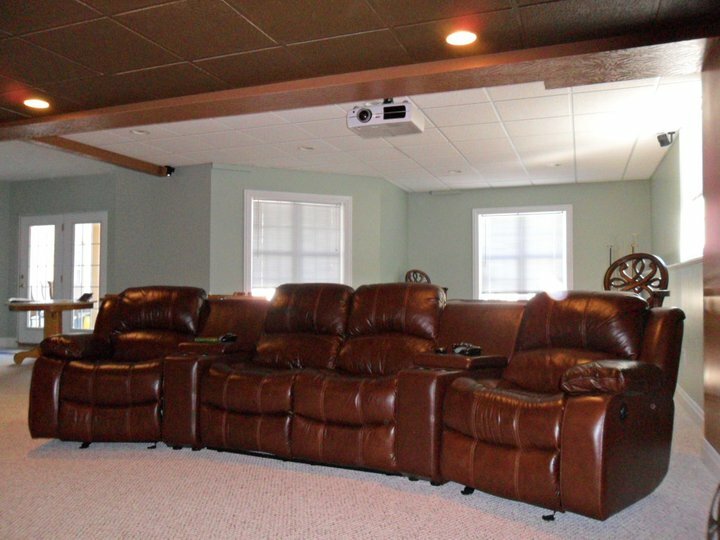 What's even better, is that theater seating can find a permanent home in the media room at the optimal veiwing range without having to be moved to different angles to enjoy both options. 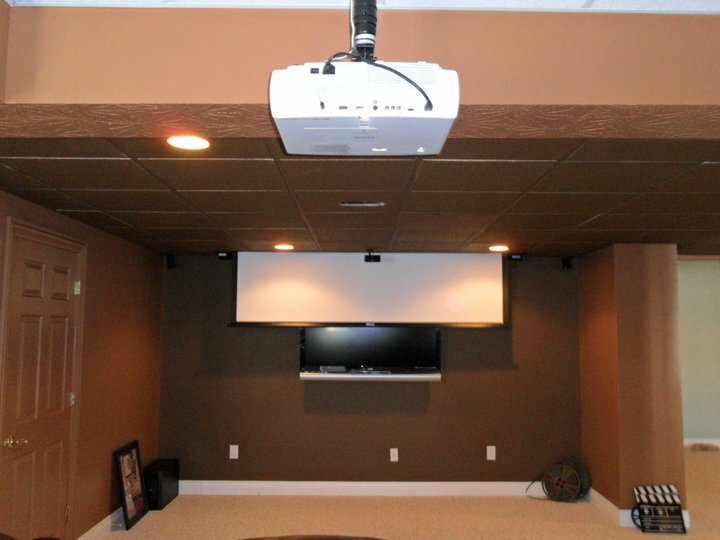 Call us today at 513-271-8877 for a free in-home consultation to see what Meineke Electronics can do for you! We are a local, family-owned business that has built it's reputation for excellent customer service over the span of three generations. 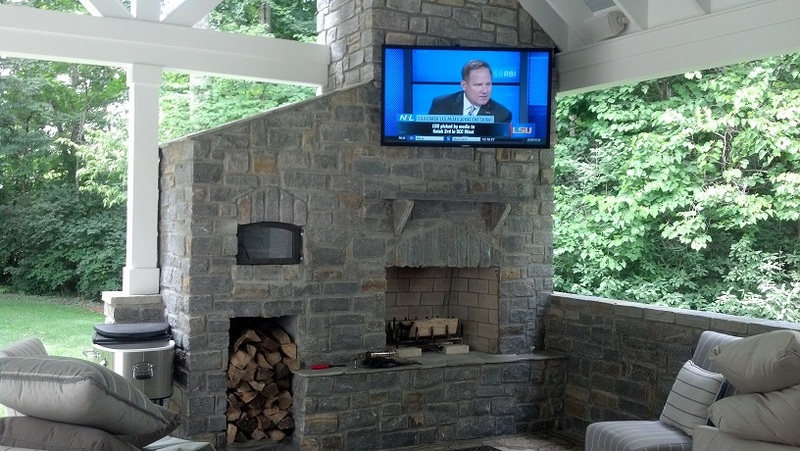 We specialize in expert, custom installations that are tailored to each individual client's tastes and budget. 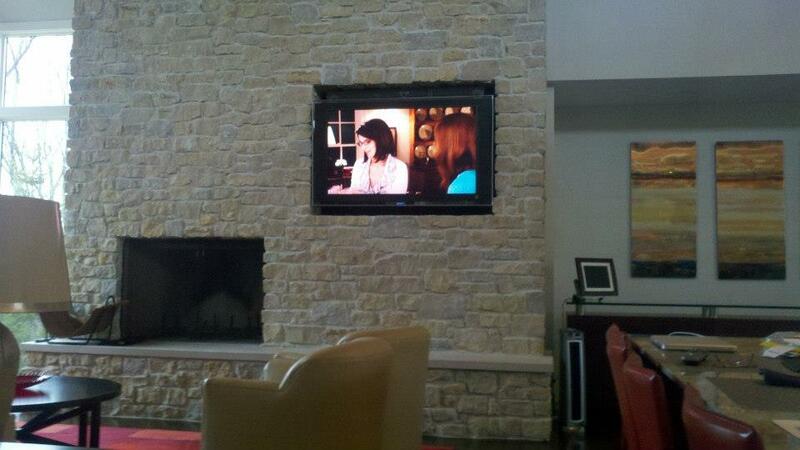 Whether your house is over 100 years old or under construction, we have the Audio/Visual Solution for you! Check out these Mounts! Whether it's above a fireplace, concealed as an ornate work of art or outdoors; the possiblities are limited only by imagination. 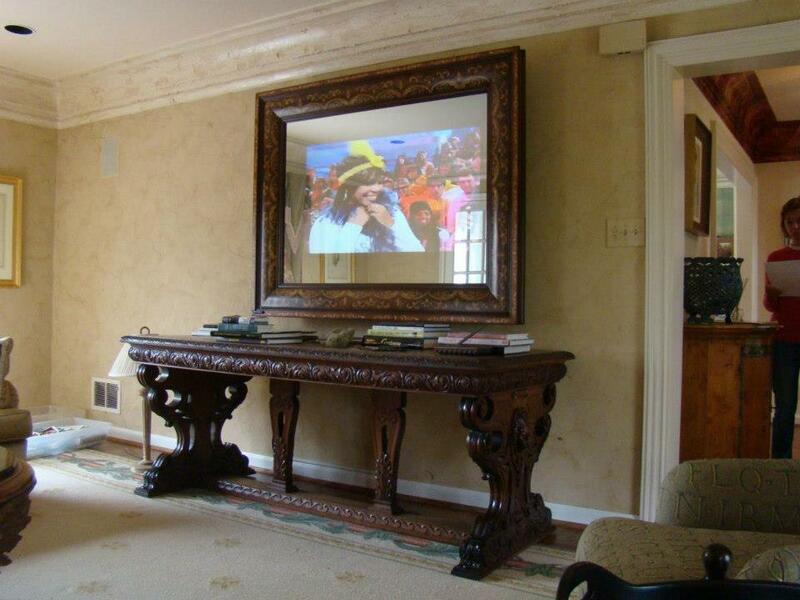 We have a variety of solutions to enhance any entertaining area of your home or grounds. We can even extend your home Wi-Fi Hotspot to encompass just about as much of your property as you desire with our Wi-Fi extension and enhancement products.